Ken Livingstone says allegations of anti-Semitism in the Labour Party are “lies and smears” meant to bring down party leader Corbyn. 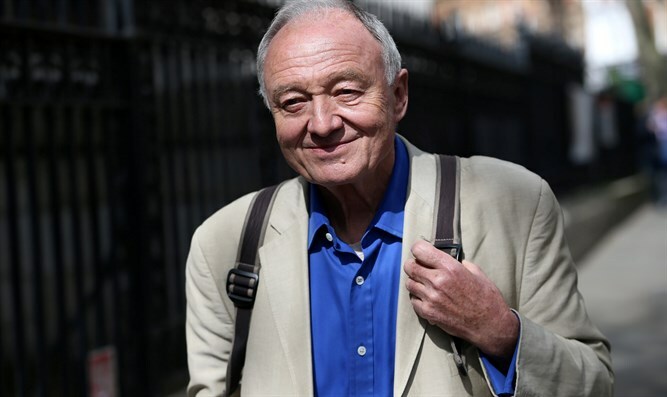 Former London Mayor Ken Livingstone called allegations of anti-Semitism in the Labour Party “lies and smears” meant to bring down party leader Jeremy Corbyn, JTA reported on Sunday. Livingstone also insisted that it is “not anti-Semitic to hate the Jews of Israel”, according to the report. The former London Mayor was suspended from the Labour party in April of 2016 after he asserted that Adolf Hitler had supported Zionism in the 1930s. The party later extended the suspension until the conclusion of an internal probe into his conduct over allegations that his claims were anti-Semitic or otherwise offensive to Jews. Livingstone then repeated the claims that got him suspended from Labour before quitting the party in May of last year. His latest comments follow the resignations of nine Labour lawmakers last month over its failure to tackle the problem of hatred toward Jews among party supporters and leaders. “That means lies and smears in most of the West. In other parts of the world it can mean assassination,” the Sunday Mail reported Livingstone as saying. Livingstone said that Corbyn’s office did not support his suspension from the party in 2016, after he said that Hitler supported Zionism. He also asserted that he was suspended because the press had spread “lie after lie after lie” about what he said. “It’s not anti-Semitic to hate the Jews of Israel and you can’t have a proper functioning democracy in a world in which the media, whether it’s the press or internet, can just spread lie after lie after lie,” he was quoted as having said at the meeting. Livingstone is one of dozens of Labour members who have been suspended and expelled from the party due to anti-Semitism over the last few years. A report released in October of 2016 determined that the Labour party’s leadership is failing to seriously confront the anti-Semitism among its ranks. Corbyn has come under fire not only for failing to tackle the anti-Semitism in the party but also for calling Hamas and Hezbollah his "friends" and for outright refusing to condemn those two terrorist organizations despite being urged to do so by local Jewish groups. Corbyn insists he is not an anti-Semite. In an interview with the BBC in September of 2018 he described anti-Semitism “as a scourge in any society, I have opposed it all my life…I have spent my whole life opposing racism in any form and I will die fighting racism."